(LAKE FOREST, IL) – March 25, 2019 – The Moore Family announces the passing of Judith R. Moore, 82, of Lake Forest. She died peacefully with her family by her side. Judith and John R. (“Ron”) Moore were married in 1960. Together, they raised four children – Lee (Rene); Roni (Robert Neumann); Tim (Renee) and Elaine (Darrin Manke) primarily in Toronto, Canada and Lincolnshire, Illinois. For more than 25 years, they have lived in Lake Forest. 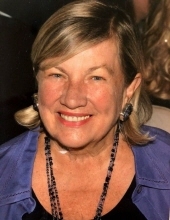 In addition to her husband, John R. Moore – the CEO (former) of Midas International -- four children and their spouses, Judith is survived by ten beloved grandchildren: Andrea and John Leland Moore; Alexandra, Samantha, Barbara and Emma Neumann; Jason and Carter Manke; and Ellie and Finn Moore. “Honey” loved to support her grandchildren’s sports and musical activities, inspiring their interest in wildlife and environmental conservation as well as the cultural arts. Judith was actively involved in philanthropic activities that aligned with her passions, serving as a member of the Woman’s Board of the Ravinia Festival and the Honorary Steering Committee for the Rita Hayworth Gala benefitting the Alzheimer’s Association. She is a former member of the Misericordia Women’s Board and the Brookfield Zoo Women’s Board as well as the Kenilworth Chapter of the Infant Welfare Society. Her love of California, as well as national parks -- most specifically Yosemite National Park -- was underscored by her lifelong membership to the Sierra Club. Judith leaves behind a commitment to family and to service -- and absolutely beautiful memories. A celebration of her life will be held Saturday, April 13, at 3 p.m., at Exmoor Country Club in Highland Park. To plant a tree in memory of Judith R. Moore, please visit our Tribute Store. "Email Address" would like to share the life celebration of Judith R. Moore. Click on the "link" to go to share a favorite memory or leave a condolence message for the family.